M1830 Bathing: Current ability to wash entire body safely identifies the patient’s ability to bathe entire body and the assistance that may be required to safely bathe, including transferring in/out of the tub/shower. The intent of the item is to identify the patient’s ABILITY, not necessarily actual performance. "Willingness" and "compliance" are not the focus of these items. These items address the patient's ability to safely bathe, given the current physical and mental/emotional/cognitive status, activities permitted, and environment. The patient must be viewed from a holistic perspective in assessing ability to perform ADLs. A combined observation/interview approach with the patient or caregiver is required to determine the most accurate response for this item. Ask the patient what type of assistance is needed to wash entire body in tub or shower. 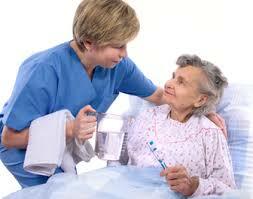 Observe the patient’s general appearance to determine if the patient has been able to bathe self as needed. The patient’s status should not be based on an assumption of a patient’s ability to perform a task with equipment they do not currently have.